The specific format of your citations will depend upon the documentation style you are using. Different disciplines use different styles - check with your professor if you are unsure of which one to use. Commonly used styles include APA, MLA, Chicago, and Turabian. Each of these has an official style guide. These manuals contain detailed examples on citing a wide variety of sources. In addition, they contain information about proper formating such as margin and font size. 1) Within your paper - Immediately after using a source, include a parenthetical citation, footnote or endnote. 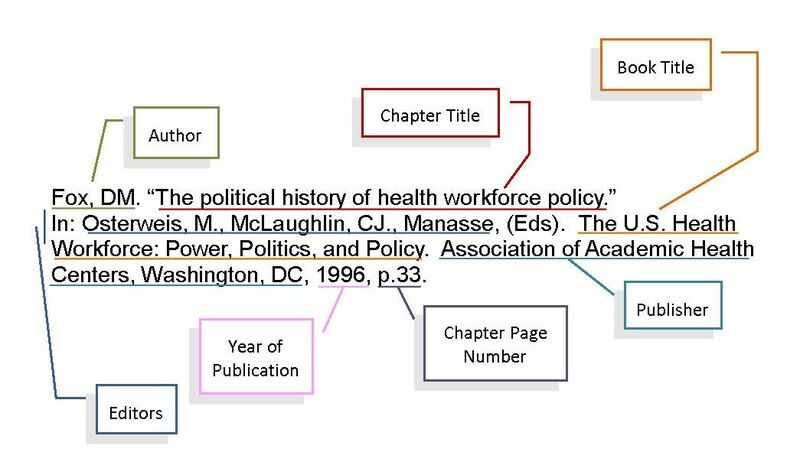 2) At the end of your paper - Assemble a complete list of your sources. This is knows as a "Bibliography," "Reference List" or "Works Cited" section. You may reproduce any part of it for noncommercial purposes as long as credit is included. We encourage you to license your derivative works under Creative Commons as well to encourage sharing and reuse of educational materials.